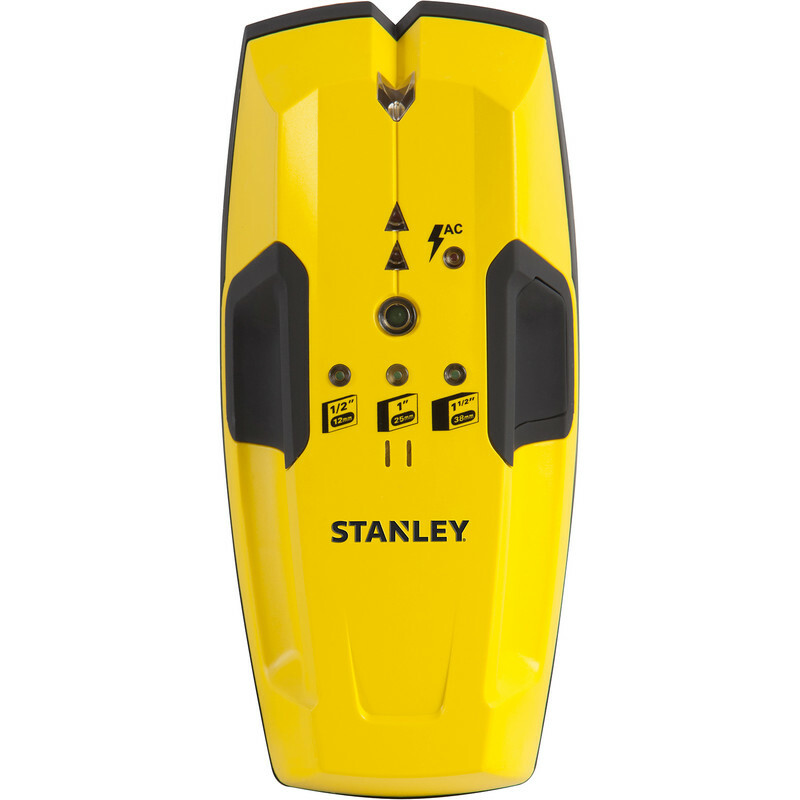 Detects wooden/metal studs behind walls up to 38mm / 1-1.5". AC live wire detection behind walls up to 51mm/ 2" deep. Audio and LED to indicate stud edge detection and AC live wires. Marking channel to mark edge stud. Auto calibration. Soft grip design.